DAP National Publicity Secretary Tony Pua criticizes Talent Corp for attempting to use incentives to lure return talent without addressing the underlying inequitable policies which drive Malaysians away in the first place. Talent Corp advertises several benefits to attract returning Malaysians such as income tax incentives, exemptions, and swifter PR processing time for returnees’ spouses and children. 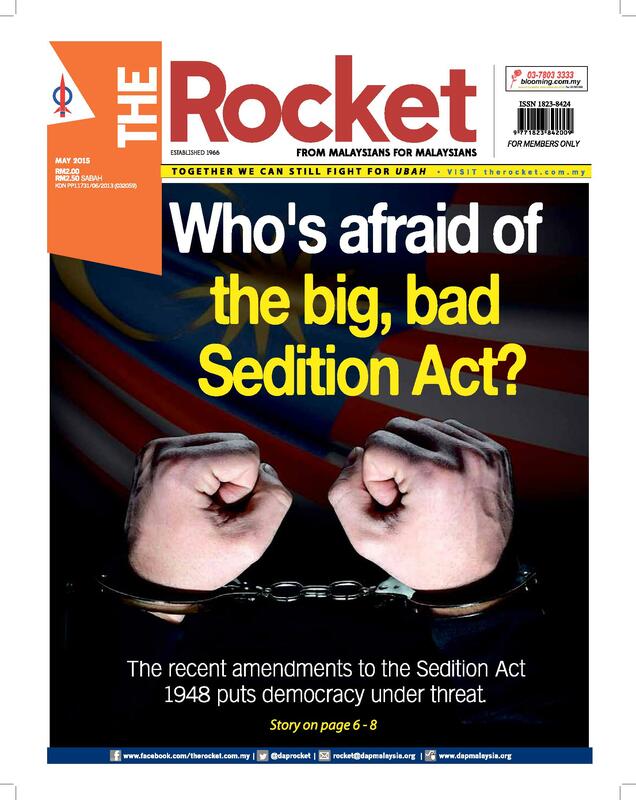 However, Pua points out, two of the main deal-breakers for fleeing Malaysians are perceived social injustice and the deplorable state of the education system. “There is a glass ceiling in employment. Employees find themselves being passed over for promotions due to their skin color,” Pua said candidly. Pua’s observation is echoed in the World Bank brain drain report, which analysed emigrants’ reasons for leaving Malaysia. According to the report, 60% of emigrants pointed at grievances towards government and public policies as their motivation to migrate, while 66% blamed it on diminishing career prospects in Malaysia. 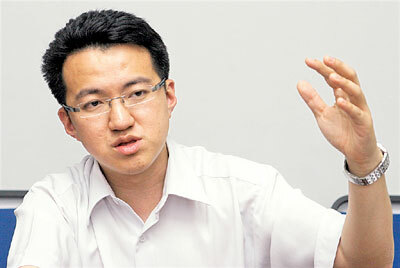 DAP International Secretary Liew Chin Tong concurs that a leading bone of contention among leaving Malaysians is that “people are rewarded for their connections and not their performance”. Many ordinary Malaysians feel frustrated that their skills are not rewarded adequately, while a flourishing rent-seeking culture breeds unequal access to opportunities. Notably, the online web portal The Malaysian Insider reports in its popular ‘migration stories’ segment that cronyism and corruption is a common grouse that keeps emigrants from returning. Pua also blames the deplorable standards of local education for the exodus of emigrants. “Many parents feel that they are unable to provide quality, affordable education for their children locally. As a result, it makes more sense to them to migrate to countries such as Australia,” he said. Pua notes that Malaysia has reached a stage where national schools are no longer the preferred choice of many parents. The declining quality of national schools is a critical element that results in poorer quality of entrants into university and eventually, a poorer quality workforce that hurts the economy’s competitiveness. Less opportunities for Malaysians seeking employment means these qualified employees are forced to leave to seek employment abroad, costing the nation dearly in forex outflow. Pua also criticized the government for dumbing down the education system to bolster passing rates and boost the number of top scorers. “The way to improve is to increase the quality of teachers and not reduce the standards of examinations,” he told The Rocket. Meanwhile, he said that the government’s failure to recognize the UEC (Unified Examination Certificate) -which is Chinese Independent High Schools’ SPM-equivalent qualification- has resulted in droves of overseas tertiary-educated students never returning from Taiwan or China. Tony Pua believes that Pakatan’s policy changes will address social inequality and stimulate the return flow of Malaysians who long to return home to a country that treats all its citizen fairly. “Malaysians will return home when they see a change of government to one that is no longer race-centric. Giving patronage the boot will be a tremendous wave of hope and impetus for change,” he told The Rocket. Needs-based rather than race-based policies will foster a more competitive economy and will better ensure a cultural mindset shift, he says. Pua also suggest the setting up of an Equal Opportunities Commission to punish all employers who use race as a criteria in hiring workers. “The unwritten rules of race-based job protection policies need to go,” he stresses. Affirmative action, Pua says, must be implemented according to needs and not according to race. “No racial group wants to be marginalized. Every poor person deserves help from the government,” said Pua, the MP for PJ Utara. Liew points out that PR seeks to reorganize the lopsided current structure to create equal opportunities for all Malaysians and to reverse the negative trend. This is to ensure fair access to all Malaysians regardless of race, so that everyone can have a slice of the economic pie. One of the ways for Malaysia to become a “liveable nation,” Liew says, is more efficient land use and improving the national transport policy. A reliable public transportation system will allow Malaysians to have more disposable income to invest in their inner selves, thus raising the Gross National Happiness Index. This article was written by admin on Sunday, July 3, 2011 at 4:03 pm. You can follow any responses to this entry through the RSS feed. Both comments and pings are currently closed.